Figured I would put up a quick post with my current Cisco Live class schedule. This is my schedule as of today and, as always, is subject to change. All times are in Vegas time! 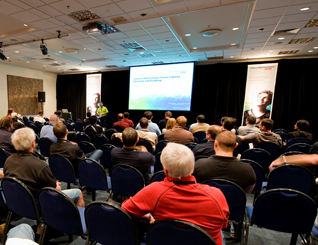 Cisco Live 2011 – Why you should go. . .
Well, it is almost that time a year when all the “Networkers” get together at the annual Cisco Live event. It is still a few months away when I am writing this – but as we all know – time slows down for no one. I wanted to take a few moments and share with you why I attend as well as why you should consider attending. Please keep in mind that my experience is a bit different from the normal attendee as I am considered a NetVet as well as a CCIE, and being that we get a few additional perks during the event. When I first attended back in 2005, the event was actually called Cisco Networkers and had a primary focus on Cisco engineers at a technical level. I think that most, if not all, the sessions where focused on technical training, knowledge, and open forums. There were no managerial or executive level sessions, or if they where available, it was only in limited capacity. Since then, Cisco has done more to address all the different levels of the corporate ladder. This change has probably been very good for the event as some of us who have attended for many years moved up the corporate ladder, this has helped the event to hold its value. That being said, I still attend all the technical sessions as they help me to plan for the future and find solutions to projects that are forthcoming. 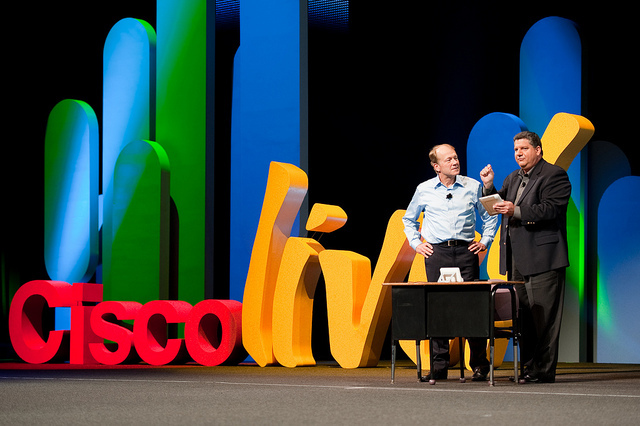 So what can you expect to do at Cisco Live if you where to attend? Well, there are Technical Seminars (Techtorials), Labs, and Breakout Sessions available during the event; Pearson Vue testing center on-site; World of Solutions were vendors show their latest products; there is special party for the attending Cisco CCIE/CCDE certified people; and for everyone there is a Customer Appreciation Event at the end to celebrate. That is just the official stuff – the chance to meet some of the smartest, nerdiest, as well as coolest people in the networking world is an opportunity not to be missed! 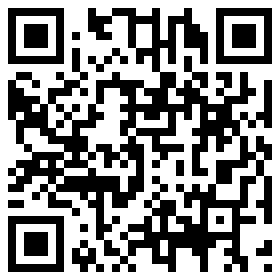 So lets cover some of the Technical Seminars (Techtorials) and Labs quickly. These type of sessions are typically an additional item that you may choose to purchase during the event, and typically take place on the first two days of the event – in this case the 10th and 11th. They are available in 4-hour or 8-hour sessions, dependent on the topic being discussed, and are well worth the addition cost. I have personally attended the 8-hour sessions on SIP and CCIE Voice in the past, and 4 hour sessions on CCIE Labs, IPv6 labs, Nexus 7000 hands-on, and the CCDE practical. Those session where given either by the proctors and authors of the labs, the people who wrote the RFCs for the protocols, or the people who wrote the code and designed the hardware. These session are chances to get to talk to the people who are in the know on the products/technologies as well as a chance to be able to touch technology you might not normally have an opportunity to work on. These sessions are easily identifiable in the scheduler as they are prefixed with either LRT or TEC. Now onto the Technical Breakout Sessions as these are really the meat of the whole event, at least in my opinion. These are 90 minute seminars on the technologies of your scheduling and can range from basic fundamentals of a technology all the way to the architecture of a protocol on a piece of hardware. The sessions identification and number scheme helps you to identify the tracks and levels of the session. All breakout sessions begin with the prefix of BRK followed by a 3-technology abbreviation (except for CCIE) and a 4-digit number that equates to the level. With the number, the higher the number the higher the level. So if you look at 1xxx series number you can expect Introductory information; a 2xxx number will be Intermediate level information, and finally a 3xxx number is Advanced level of information. The 3xxx level is drinking from a fire hose at times, the level of technical information that you gather is amazing as well as these are usually given by the engineers who designed or wrote the product they are talking about. Below is a chart of the different session abbreviation meanings. Another great bonus of Cisco Live is the Perason/Vue testing center located on-site. You are able to register for one FREE test on-site provided you did an advanced pre-registered (link) and additional tests are available for 50% off normal price. These are all on a first-come-first schedule basis as well as seating availability, but to be honest they usually have about 100 – 200 testing seats at the location. If you are curious about a test, say the CCIE R&S 350-001, but not sure if you are up to the task; this is a great chance to see what is on the test and how you fair, without being out the $300 for the test. If you need to recert your CCxx, it is another great chance to do it for free – I cannot tell you how many CCIE take their re-certification test during this event, but I know many do! Before I go on about the World of Solutions and the parties, let me take a moment and talk about NetVets. 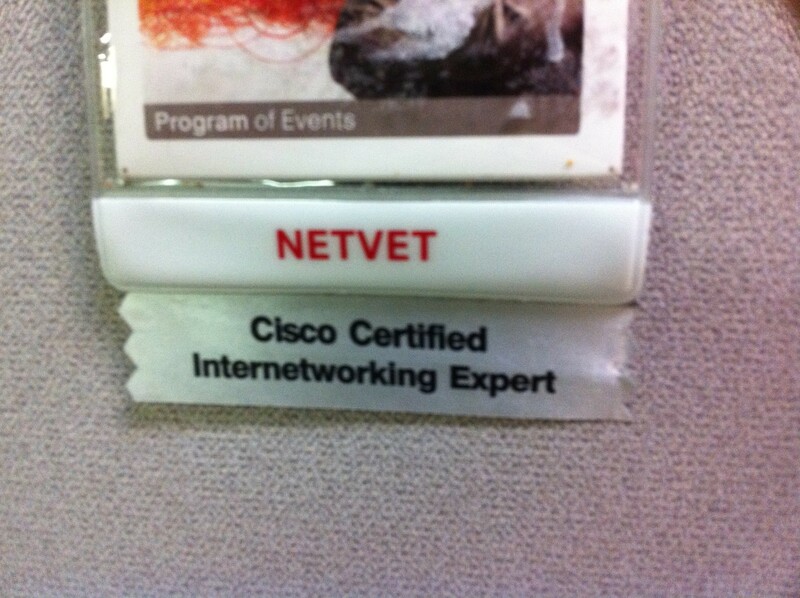 Basically a NetVet is a person who has attended at least three of the previous Cisco Live events in the past 5 years. That is attended, so if this is your third one in a row – you have one more year until you are a NetVet. You can identify these people usually by a red lanyard that says NetVet, and these people tend to also be very helpful to anyone who has a questions during the event. Some of the additional perks that a NetVet receives is a private lounge to relax in and unwind, a free book from Cisco Press, a special materials pickup line and priority session scheduling. 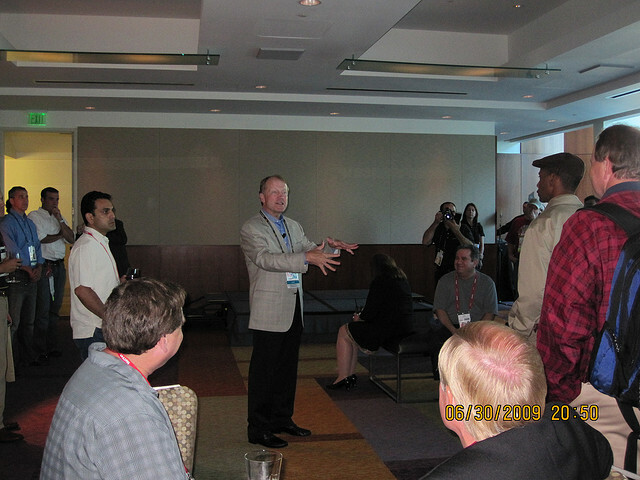 If you are a CCIE/CCDE and a NetVet, you get the special honor of a very small reception with John Chambers during the event. If you look at the picture above, you can tell this is an intimate reception with a very small crowd. It is an open forum for questions and feedback with John Chambers. So lets talk about the World of Solutions (WoS) and what it is. Ultimately it is a place for vendors to showcase their latest gear and technologies; a place to see what is new and upcoming; as well as a place to get lots and lots of free stuff (shirts, nick knacks, gadgets, USB drives, etc). You have a chance to see what vendors have that is new and see what products might help you in your job or business. You have vendors from Network Management solutions, to vendors who can help you with terrestrial backup networks, to training companies. There is usually something there for everyone, and to be honest it is a decent size – but not too over whelming. As a great bonus, is the Welcome Reception that is held on the first day that the breakout sessions are available. This is the official opening of the WoS and is a great place to get food and “beverages” as well as walk around and check things out. Usually at the WoS there is also the Cert Lounge as well as the Cisco Store. The Cert Lounge is the location where, if you are Cisco Certified, you can go in and relax for a bit. They usually have some chairs there, food and beverages, and can usually find some of the more recognizable names in the Cisco certification world. What is also there tends to be some educational information – such as the other year they had some of the CCDE beta questions available for anyone to try. Another thing about the Certification Lounge – this is the place where, if you are a Cisco CCIE/CCDE/CCAr, you can receive your ribbon for your attendance badge. When it comes to the Cisco Store, this is a great place to shop for Cisco branded gear as well Cisco Press books! You can find just about everything there with a Cisco logo on it – from Shirts, Jackets, Pens, Caps, etc – great place to stock up and bring back items for your co-workers! When it comes to the Cisco Press books, I think that they have just about every one of them there – and at a discount. I do not know what the exact discount is or will be, but I have always received a respectable one when I purchase books there. It nice to be able to flip through the books prior to purchasing, as well being able to check other books out you might not normally have the a chance to. Cisco Press tends to also have some of the authors available at times time to sign the books, so if you want to meet some of the authors you might get your chance! The Keynotes are a great time to hear what John Chambers and others have to say about technology, where Cisco is going with it, as well as what Cisco sees as the future of the market play. We always get a great live demonstration of some of their newest products – sometimes with technical issues – so they are real and not just videos! It is always entertaining to watch the demonstration on stage, they do a great job. During the main keynote, John Chambers is very interactive with the audience when he speaks as he moves around the place and engages the audience. He does not stand behind a podium and speak to us, he looks at you; he talks to you; he makes you feel like you are the only person in a room (not just one of about 10,000). You also get a keynote from Padmasree Warrior, Cisco CTO, and just like John Chambers – she engages you. 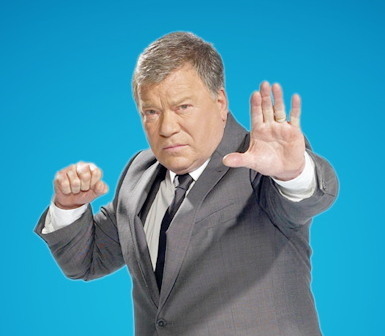 There is also a closing keynote where they also announce the next years location (San Diego, CA), and what is really cool this year – is that that keynote will be done William Shatner. They know how to bring out the stars for this event! The two last things I want to cover are the Customer Appreciation Event and the CCIE/CCDE Party. 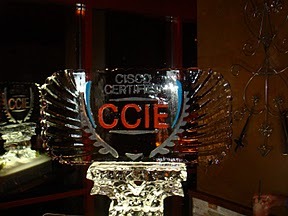 The CCIE/CCDE Party is a fun event and it is a great place to meet other people who share your certifications. This event has taken place at the NASCAR Cafe during Cisco Live Orlando, Ghost Bar at the Palms in Vegas, and for 2010 it was at the VooDoo lounge at the Rio. It is a fun time and just a great night out with peers and friends. 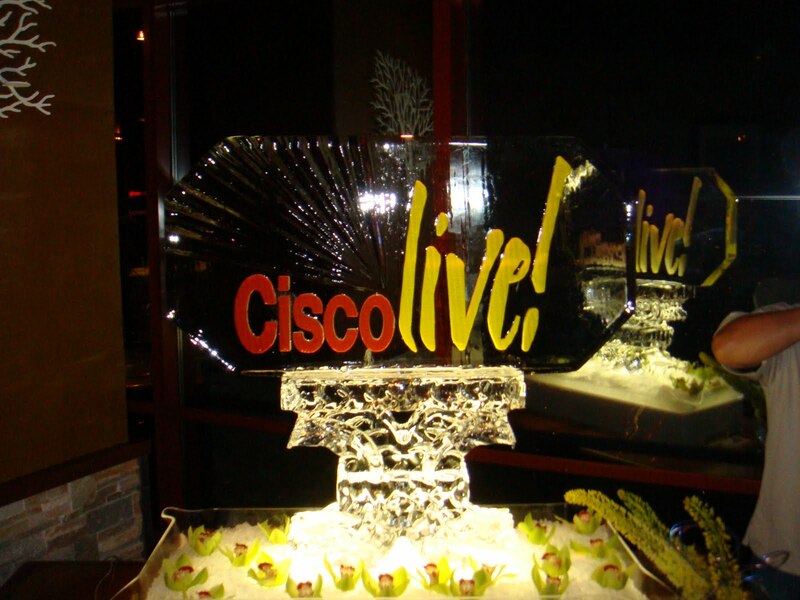 There is not much to say as this is the type of event that has to be experienced more than anything – if you are a CCIE and attending Cisco Live, you will have a great time! So let us talk about Customer Appreciation Event. This event, sometime good sometimes great, is the way that Cisco closes out Cisco Live. They usually have some really funky hats – and every year they are different and something that is not officially known until the night of the event. I have hats with stars, flames, blue hair caps, and energy dome, and a few others in my closet – they are just fun and funky! This year, if I read into the literature, will be held at the Bellagio (dancing fountain pool spectacular is the official Cisco description) and will have Train and OK Go as some of the bands for the event. There will be plenty of drink and food (drink is first for a reason), and it is a great night to hang out with everyone! Not sure about the hats yet, but if Train is the headline – I might be able to guess the type of cap. You never know though as they are great at surprising everyone! 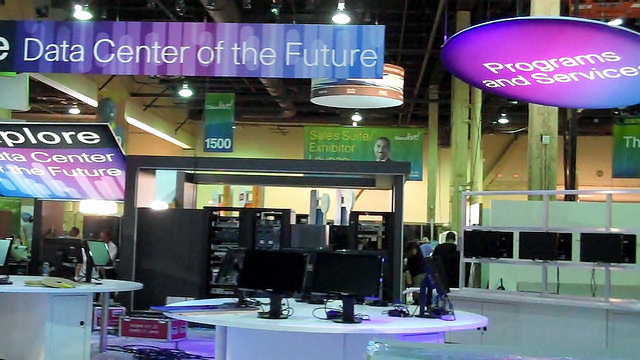 Here is some footage from Cisco Live! Anaheim with KISS from a few years back. So, in closing I figure I would let some of my friends tell you why they go to Cisco Live and what the see for the future. To be honest, I really go for two main reasons. Posted by fryadmin in Why not? Ok, now that I have that basic LISP post out, you know this one LISP – Say What? !, I figured I would build upon that configuration. 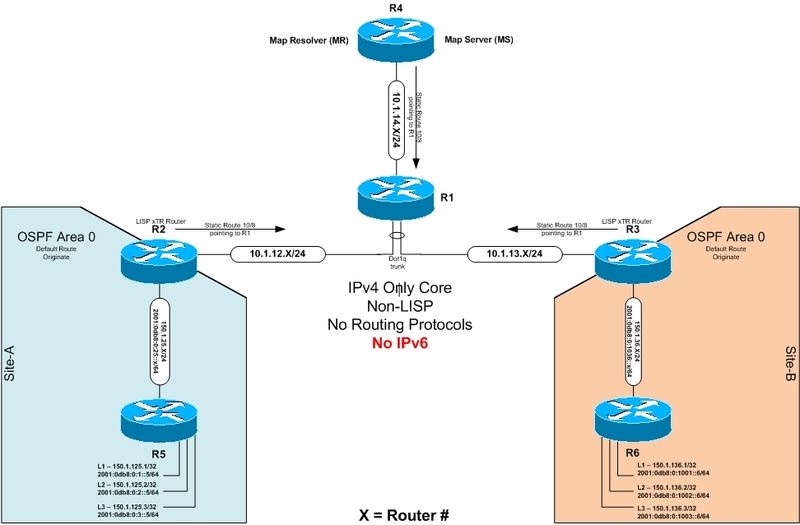 Today I will show you how to overlay IPv6 at your sites while keeping your core IPv4 only. There is no IPv6 addressing nor routing configured on the core Routers and this post will continue where the other one left off, no configuration changes have been made prior to this post, except I did have to upgrade from a base image to an Enterprise image to support IPv6 on R2, R3, and R4. R1 is still running an IOS that does not support LISP nor IPv6. This post will focus on the configuration first and then the explanation of how last. Below is the same topology I used in the other LISP post, just added some IPv6 addressing and routing protocols for Site-A and Site-B. I am going to build on what we have done in the other lab, so not all the necessary LISP configs are here for a scratch-built config. I have included the full configs in the bottom of this post if you would like to look at them. Now we need to enable the IPv6 address family under the VRF, just like we did for IPv4. Now, lets to the other two routers that are not part of LISP, namely R5 and R6. Just like R5, we will enable IPv6 routing. There are no configuration changes on G0/0, it maintains its IPv4 address – there is NO IPv6 configured on this interface. Again, we do not make any changes to the LISP RLOC interface, no IPv6 on this interface! There we go, it worked! LISP allowed us to encapsulate the IPv6 packet within IPv4 without have to configure 6to4 tunnels and such. Now that we have that all configured and tested, lets look at the output from R4 using a the command sh lisp site summary. As you will see, we now have 4 configured networks for IPv6 and 4 registered. Our IPv4 routes and networks are still there from before, none of that changed. Now we can look at the output from show lisp site to see what networks are registered. As you can see, both IPv4 and Ipv6 networks are listed with their perspective RLOC routers. Now, just like I did for the IPv4 only lab, here is the debug output from debug lisp control-plane all. If you need an explanation, just refer to the prior post please. *Apr 8 22:18:21.098: LISP: Remote EID prefix 2001:DB8:0:1001::6/128, Change state to incomplete (method: data-signal, state: unknown, rlocs: 0). *Apr 8 22:18:21.098: LISP: Remote EID prefix 2001:DB8:0:1001::6/128, Scheduling map requests (incomplete) (method: data-signal, state: incomplete, rlocs: 0). *Apr 8 22:18:21.130: LISP: Remote EID prefix 2001:DB8:0:1001::6/128, Send map request (1) (method: data-signal, state: incomplete, rlocs: 0). *Apr 8 22:18:21.130: LISP: AF IPv6, Sending map-request from 2001:DB8:0:25::2 to 2001:DB8:0:1001::6 for EID 2001:DB8:0:1001::6/128, ITR-RLOCs 1, nonce 0xC4B2E8BE-0x4DCA442F (encap src 10.1.12.2, dst 10.1.14.4). *Apr 8 22:18:21.130: LISP: Map Request prefix 2001:DB8:0:1001::6/128 remote EID prefix, Received reply with rtt 0ms. *Apr 8 22:18:21.130: LISP: Remote EID prefix 2001:DB8:0:1001::/64, Change state to complete (method: map-reply, state: unknown, rlocs: 0). *Apr 8 22:18:21.130: LISP: Remote EID prefix 2001:DB8:0:1001::/64, Starting idle timer (method: map-reply, state: complete, rlocs: 0). *Apr 8 22:18:21.130: LISP: Remote EID prefix 2001:DB8:0:1001::6/128, Change state to deleted (method: data-signal, state: incomplete, rlocs: 0). *Apr 8 22:18:21.134: LISP: Remote EID prefix 2001:DB8:0:1001::/64, Recalculated RLOC status bits from 0x0 to 0x1 (method: map-reply, state: complete, rlocs: 1). *Apr 8 22:18:21.134: LISP: Remote EID prefix 2001:DB8:0:1001::/64 locator 10.1.13.3 priority 1 weight 100, Added locator (method: map-reply, state: complete, rlocs: 1).